San Antonio Spurs Gregg Popovich is an elite tactician, who’s adapted to the changing game in his nearly two-plus decades behind the bench. Despite being able to acclimate to different NBA playstyles over the years, Popovich still isn’t a fan of the three-point shot. 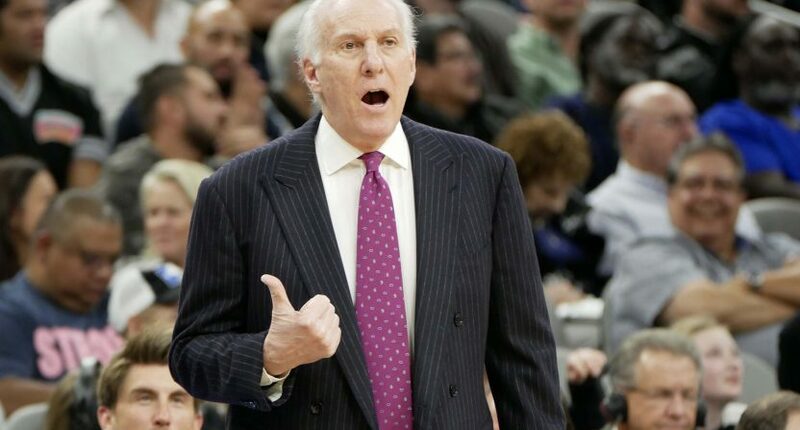 Speaking with NBA.com, Popovich admitted to hating the three-point shot. Popovich is an old-school coach, so it’s not surprising he’s got a more favorable opinion of the previous grit and grind NBA. However, he’s completely wrong when it comes to the three-pointer. It’s not boring. It’s beautiful. Seeing the likes of Steph Curry, Tre Young or Kemba Walker pull up from so far behind the net and nailing threes is exciting. If everything was two-point plays again, that’s when it would get boring. Popovich’s teams are notoriously bad at shooting the three, so for once, Popovich isn’t progressive, he’s just salty.